We are definitely in the thick of it now, with students returning to classes for the year and new initiatives for the VET sector being implemented such as the VET Student Loans Scheme and the introduction of a VET Student Loans Ombudsman. 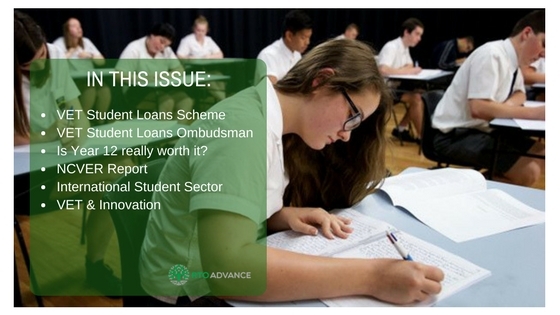 In a move aimed at complementing the VET Student Loans scheme and boosting protection for students, the Federal government announced new legislation for a VET Student Loans Ombudsman in mid-February. The Ombudsman will be tasked with focusing on compliance issues with training organisations, as well as investigating and resolving student complaints. In an article in response to the news of the new legislation, entitled “VET Ombudsman: too little, too late” The Australian noted that this was “a belated attempt to restore confidence” in the Australian VET sector and “a case of trying to shut the door long after the horse has bolted”. Around the same time, LH Martin Institute has released a paper reviewing the new VET Student Loans Scheme, noting that it was “rushed through the Parliament on a wave of public outrage” without much additional thought as to how it would actually be implemented. The paper’s summary it that the program is “under-developed” and not entirely coherent, and it is unclear whether in its current form it will produce “consistent and certain outcomes for students and providers”. Mark Warburton, Honorary Senior Fellow of the LH Martin Institute believes it is almost certain that substantial changes to the scheme will be required in the near future. Meanwhile, the importance of vocational education and training to the future needs of the 21st century workforce and graduates is being continually highlighted both locally and globally. There is quite a lot of commentary on the failure of the current Australian school system to prepare students for careers – most notably in this opinion piece written by a recent Year 12 student and in this ABC documentary. It’s not all doom and gloom however – and thankfully! In a recent NCVER Report, 9 out of 10 Australian vocational education and training graduates recommend their training, with over 55% stating they had improved employment status after training. The international student sector in Australian higher education and VET sectors continues to smash all records, with Australia cementing “its reputation as an international education destination of choice with student numbers surging more than 10 per cent to 554,179.” This is attributed to Australia’s reputation for high-quality qualifications and education system, as well as the relative safety and ease of living and studying here. ACPET’s Rod Camm has stated “This is a very positive reflection on Australia’s education providers”. Hear, hear! The Innovation and Science Australia (ISA) Commonwealth advisory body has also released a report concluding that VET is making a substantial contribution to innovation, and that there is a formal role for VET in our innovation system. The view from Europe is also very positive and encouraging, with 60% of respondents in a CEDEFOP survey on vocational education and training reporting they had found a long-term job soon after completing their studies, and Erasmus reporting figures of 100,000 vocational learners per year which is having a positive effect on increasing work mobility throughout Europe. So let’s keep on pushing together for real and positive change within our sector here in Australia, it’s vital we achieve the best possible outcomes for students to equip them with the skills they’re going to need to survive in the rapidly changing work environment.